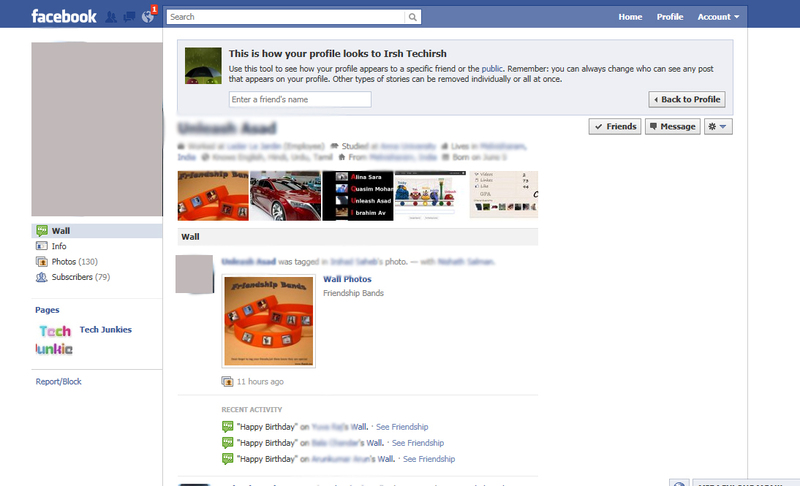 You can view how your Facebook profile page appears to your specific friend. You can easily do it using the View As option in your Profile Page. You can see View As.. button on the top right of your profile page. Click on it. Now start typing your friend's Facebook Display Name. You can see list of names related to your text. Select the name. Page will refresh and u could see your profile page same as your friend view it.